See some of our carriers that we represent here in Cape Coral, FL. 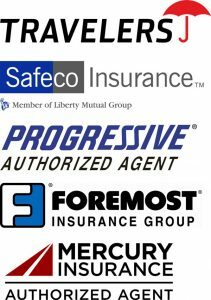 Here are 5 of our top Auto Insurance companies to choose from. Over the years these are the companies we’ve chosen to stick with. As an agency we need companies that handle claims we’ll and who offer great rates. Our Auto Insurance companies really make us a unique agency. These are companies that most agencies are luck to have been able to obtain. Travelers Insurance has been in business for over 160 years. The Dow Jones is only made up of the top 30 companies. Travelers is the only insurance company on the Dow Jones. One thing Travelers goes over and above is on it’s car insurance claims service. Our agency is very proud to have them as one of our companies we represent. Options – Having many carrier options is very important. No one company is right for everyone, so we have many carriers to choose from to help you find the best home insurance and auto insurance in Cape Coral and surrounding areas. Some companies don’t like tickets or accidents, while other carriers like tickets and accidents. No matter what your situation, we have a company for you. Getting the right coverage is a matter of knowing what can happen and what is important to you when accidents happen. Learn about the basics of car insurance. See about what the common are the common auto insurance coverage’s. What to consider when purchasing auto insurance. See the basics of a policy such as the Declarations Page (insurance summary), what consists of a basic policy, and what are endorsements (policy add-ons). Also, see how to choose coverage’s, and learn about the claims process. Travelers Auto Insurance Coverage Guide, is a simple useful tool to help explain a car insurance policy. 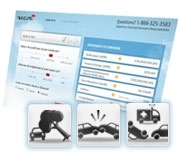 This tool uses pictures to illustrate what coverage’s pertain to different types of auto accidents. Using accident examples through pictures is simple and great way to explain auto insurance coverages. Optional, but highly recommended. Most carriers won’t give you a prior insurance discount if you don’t have at least 10/20 for minimum bodily injury limits. We’re seeing that most companies offer a higher prior insurance discount if your limits are 50/100 or higher. In the long run having limits of 50/100 or higher will save you money. Ex. You hit another vehicle and injure the driver and passenger. Bodily injury will provide money for their injuries, and possible loss of wages, up to your policy limits. If an insured person is legally liable for an accident, BI coverage pays for injuries/death to people involved in the accident other than the insured driver. BI also pays for legal defense costs if you are sued. Certain exclusions may apply. In Florida you are not required to carry bodily injury coverage on you auto insurance policy. 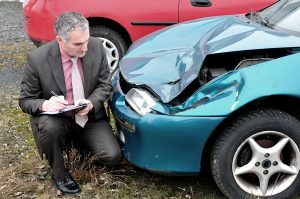 This is an important coverage because if you hurt someone and don’t have enough bodily injury coverage, you could end up with a judgment or lien against your home for the difference in money owed to someone in an auto accident. Your home insurance may have liability coverage, but it isn’t going to provide coverage for an auto accident. Ex. You hit another vehicle, and doing damage to that vehicle. This is the coverage that will provide money to fix the other person’s vehicle that you damaged, up to your policy limits. If a driver or owner of a vehicle is legally liable for an accident but does not have enough insurance, you can use UIM coverage for injuries, including death that you, your resident relatives, and occupants of your insured vehicle sustain, up to the limits you select. Certain exclusions may apply. Refer to your policy. In Florida drivers aren’t required to carry Bodily Injury Coverage, so Uninsured and Under Insured Motorist Coverage, are often the only way you can guarantee protection for you and your family against others in an auto accident. State Limit of $10,000 in coverage. In an auto accident PIP is the first coverage for your injuries or loss of wages. This is why it is referred to as no-fault insurance. Because even if it isn’t your fault in an auto accident, your insurance pays the first part of your medical or loss of wages. Note PIP doesn’t pay for damage to your vehicle. to the limits you select. Certain exclusions may apply. Refer to your policy. Coverage that pays for reasonable and necessary medical and funeral expenses for covered persons. These expenses must be incurred as a result of an auto accident. 1) Are you concerned about lawsuits if you injure or damage vehicles of someone else? 2) Are you concerned about you or your family being injured by someone else? Not everyone carries insurance, and what the state requires isn’t a lot of insurance. 3) Are you concerned about your vehicle being damaged and what it could cost to repair or replace your vehicle? To get the right coverage think about what can happen in an accident. Then ask you self what is important to you if an accident happens. We Can then help you to determine what coverage limits are best for your individual needs, and concerns. As a premier Cape Coral insurance agency, we can help you find exactly what you need. If you’re looking for quality Auto Insurance or Cape Coral home insurance, contact us today. Want Better Auto Insurance Rates? 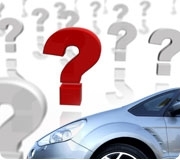 Knowing what insurance companies use to determine your auto insurance rates is important. Here are the determining factors that make up your car insurance rates in the order of importance. Unfortunately credit is usually the largest factor when insurance companies price your auto insurance. As an agency, we don’t see an actual credit score when quoting. Companies use credit score to help determine what pricing tier a person fits into when rating. While some companies have 10 or less tiers other companies may have as many as 50 tiers for rating. Although a credit report is obtained, it is usually a soft hit, meaning it does not affect your credit score and it does not show up on the actual credit report. The same credit score can be looked at very differently among insurance companies. Some companies may need a 800 credit score or better to get their best pricing. While a other companies offer their best pricing at a score of 720. As agents we’ve found that there is a company for everyone. Insurance companies call credit scores an insurance score. The better your insurance score with a company the better you’re pricing. Other factors like the next items listed also work to determine an insurance score, but usually credit is the largest factor. It’s no surprise that tickets and accidents affect your rates. In regards to cape coral auto insurance, it is ranked as second in order of importance to insurance pricing. At fault accidents usually hold more weight in raising rates than speeding tickets. Often individuals with a speeding ticket that very good credit, get penalized very little in regards to pricing. Most auto insurance companies look at an tickets and accidents you may have had over three (3) years with most insurance companies. While only a few companies look at your driving record up to 5 years. Tip: If you get a moving violation, try to take the class offered by the state. If you take the class the violations really don’t show up on your driving record. If you haven’t had prior insurance, no company is going to give you their best rate. Most companies don’t give you their best rate until you’ve had insurance for at least one year. When companies run your driving records, they are also usually able to find out whom you have for insurance, what limits you have with them, and how long you’ve been with that insurance company. Also having a home insurance policy, can also save you money. Most auto insurance companies give you a discount for having homeowners insurance. Know your Bodily Injury Limits – Bodily Injury Coverage is optional in FL, but most carriers now will not offer an insurance quote if you don’t have limits of 25/50 or higher. Meaning if you don’t have Bodily Injury Coverage or carry the state minimum (10/20), most carriers won’t offer you a quote if your current insurance doesn’t have at least 25/50 limits or higher in regards to Bodily Injury Coverage. To find out what your limits are look on your current policy Declarations Pages. As a local insurance agency we specialize in auto insurance for residents of Cape Coral, and Fort Myers, FL. Get a car insurance comparison here online.